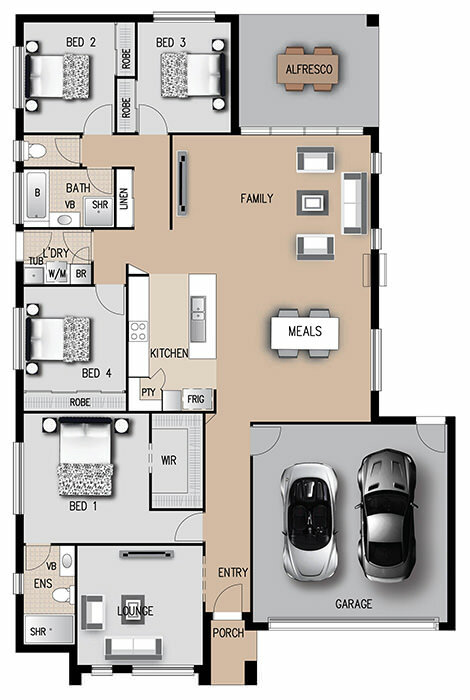 The Brighton is a low set contemporary home that has been well thought out to suit a growing family. 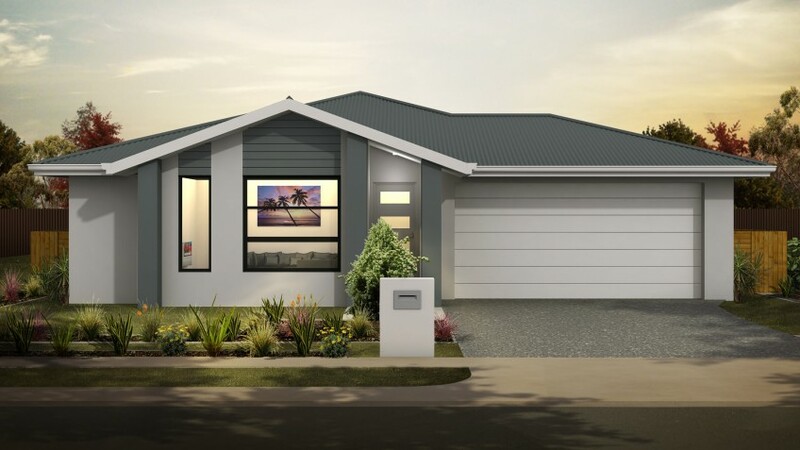 Featuring a lounge area at the front next to the master bedroom with ensuite, this beautiful four bedroom home with your choice of facade caters to your every need. With an open plan kitchen, dining and family room and a lovely outdoor dining area, there is no shortage of space in this home for entertainment.